Built ‘on the cheap’ to look good for a quick sale, this property’s new home owners were left with a collection of ever-increasing liabilities by the developers, faults that were not adequately disguised behind its dark and uninviting exterior. 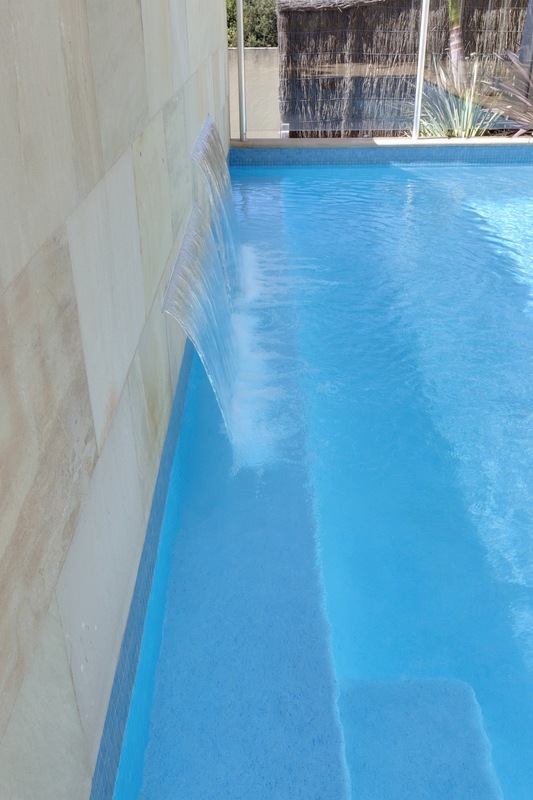 Sunset Pools’ rigorous and thorough inspection looked deep within the pool shell and feature wall’s structure to determine the root cause of calcium leaching through and accumulating upon original facings. 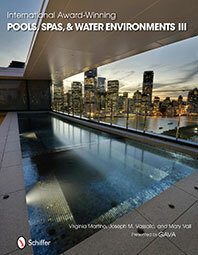 This examination also identified a lack of effective waterproofing in both structures, and the urgent need to arrest the rapid deterioration of their rusting reinforcing steel. 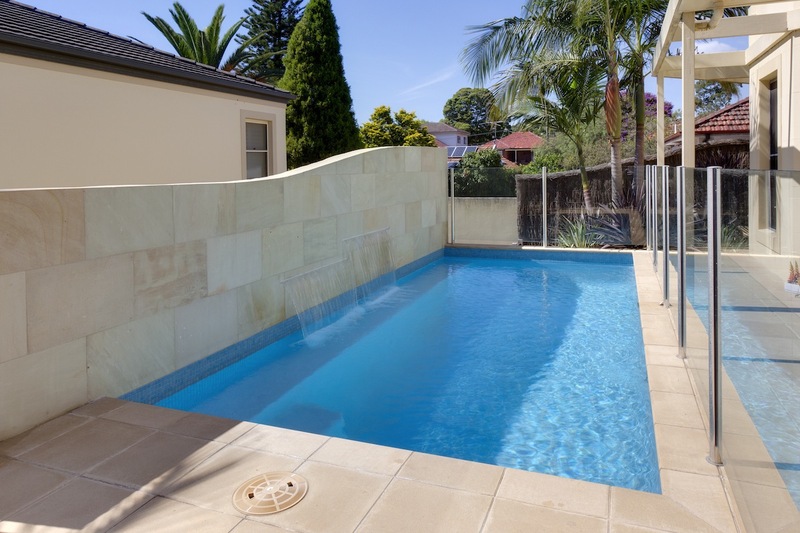 Sunset also discovered that almost every aspect of the existing pool and water feature’s hydraulics either breached current safety regulations, and/or did not comply with basic swimming pool and spa reticulation standards. 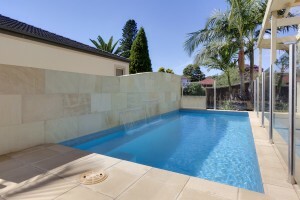 Should you have any concerns about your existing swimming pool, or the pool, spa or water feature At a property you are considering purchasing, arrange a pool inspection by calling Sunset Pools on 1300 000 412 or completing the enquiry form, stating the nature of your misgivings, today. Upon receipt of Sunset Pool’s inspection report and remedial analysis, the swimming pool’s owners had a full understanding of the issues they were facing, plus the resulting circumstances if prompt action was not undertaken. It was essential that Sunset undertake pool shell core drilling to firstly correct and then replace non-compliant filtration and sanitation hydraulics. 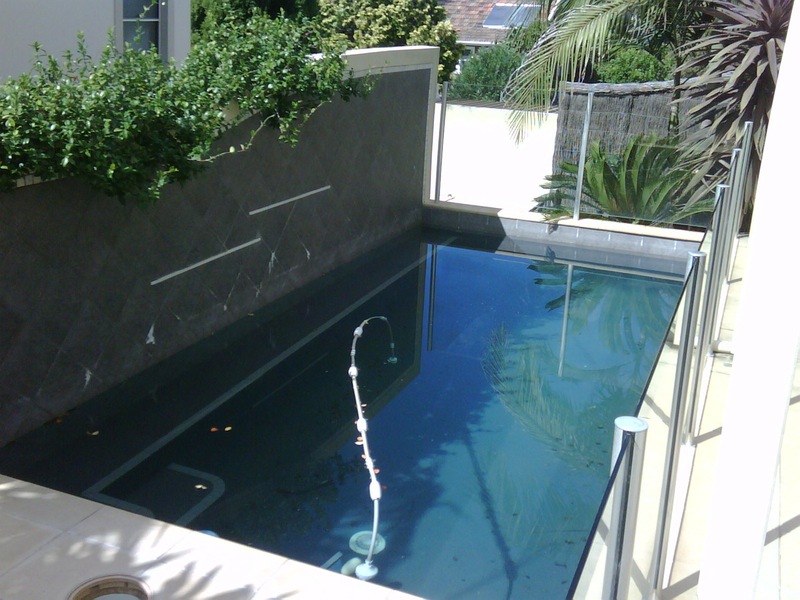 The poor quality internal pool lining and the water feature wall’s dark tiles were stripped, then all rust eliminated prior to waterproofing to eliminate leakage and any recurrence of the original build’s faults. 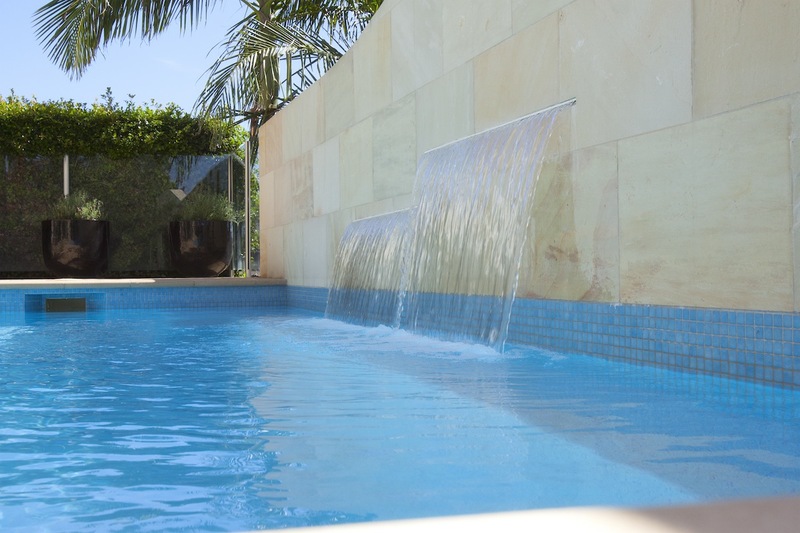 Once the structural degradation was eradicated Sunset renewed the pool’s lining with a bright and inviting Samoan blue Pebblecrete interior, and reclad the water feature wall with Himalayan sandstone to match the original pavers. Finally, inappropriate hardwood timber structures and a non-compliant plant room door were removed and replaced by Sunset to bring the entire installation up to ‘spec’, plus meet all New South Wales domestic pool regulations. 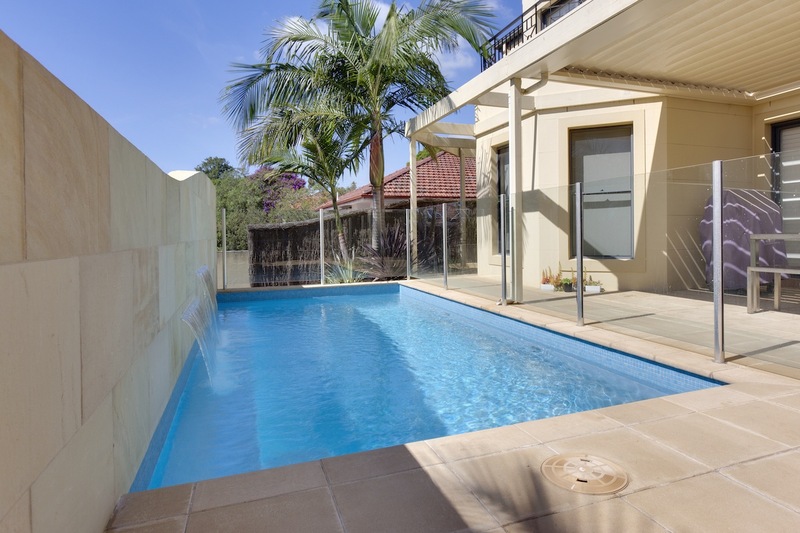 The resulting swimming pool and its surrounds, now complement the owners new home, and represents a true asset that their family can now enjoy for many years to come, secure in the knowledge that their sparkling new Sunset Pool renovation is both safe and compliant. Should you have any misgivings about your existing swimming pool, or the pool, spa or water feature at a property you are considering purchasing, call Sunset Pools on 1300 000 412 to arrange a pool inspection or complete the enquiry form, stating the nature of your concerns, today.